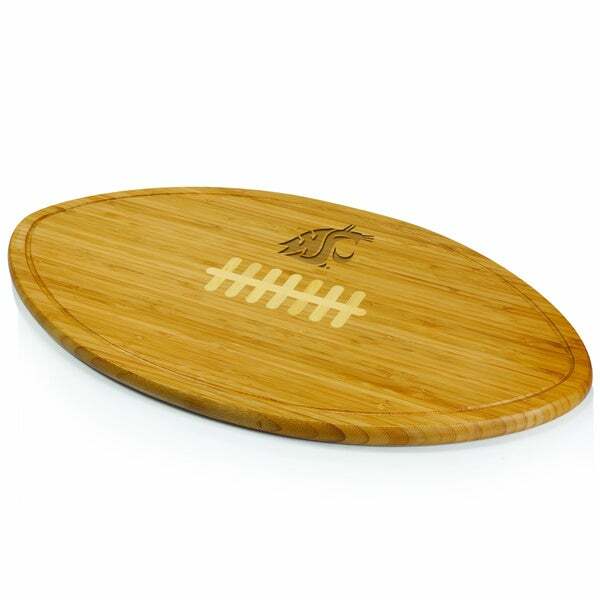 The Kickoff is the party platter and serving tray made especially for avid football fans. Its simple yet distinctive design features inlaid white bamboo to mimic the laces of a football and tapered sides for easy grasping. A recessed groove along the perimeter of the board catches cheese brine, fruit juices or au jus to keep your counter tops clean. The Kickoff will set the right mood for your next football-themed event. He's your best friend, your true love, and your lifelong companion — he deserves a Christmas present he'll really enjoy. Check out these Christmas gift ideas for husbands to find the perfect gift for him this holiday season. Nail your Christmas shopping for the sushi chef, the gracious host, and the all-around food enthusiast with knife sets that are sure to please the sharpest chef. Cheese Board Cutlery Set, - Includes 3 Label, Chalk and Slate.